Posted 12:48 pm & filed under General. Our younger tryouts had to be rescheduled from last week until this coming week due to rain. Although Ryan Park drains off water real well, it has really suffered this winter with the rain causing flooding on most of the fields. We were supposed to host State Cup this coming weekend, but it was canceled for this very reason. Hopefully, with no more rain in the forecast for the coming week or so, we should be okay for tryouts. All players 2003 and younger have to attend tryouts in order to be considered for selection on one of our teams for 2017. 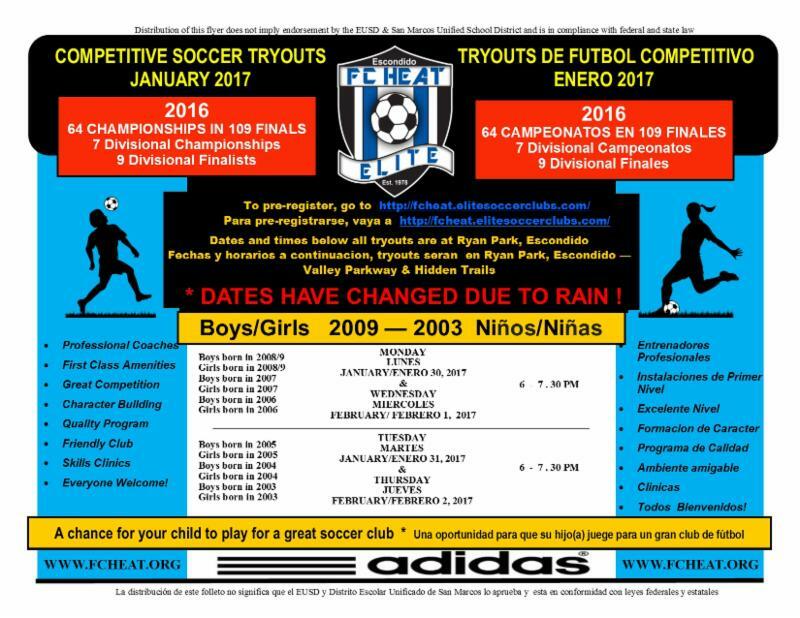 With the great success FC Heat Elite has achieved last season, we expect there to be a lot of players trying out in these younger age groups. And in addition, we certainly welcome all of our Recreational and All-Stars players to attend these tryouts. This is the tentative list of coaches and teams for younger tryouts, which lists the teams in order of hierarchy (in brackets, A, B etc.) – teams and coaches can change depending on the amount of players showing up at tryouts. Coaches of the A team will have 48 hours with the list of players in order to select their team, then the list of players will get passed on to the next team in order (B). 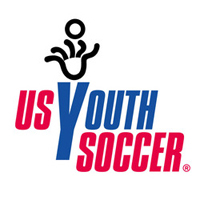 Coaches will only have priority selection only if their current players attend tryouts, if their players do not attend, then the next team will have priority selection. As always, players and parents will have the first right of refusal, to play or not to play for that particular team, but a place cannot be guaranteed on another team should they choose not to accept that initial place offering. Based on the numbers at tryouts we can and will add coaches and teams where needed, but only if the higher numbers call for this to happen. The snack bar will be open during tryouts this year, so come and get your hot chocolate and coffee to help you stay warm while the little ones run around. 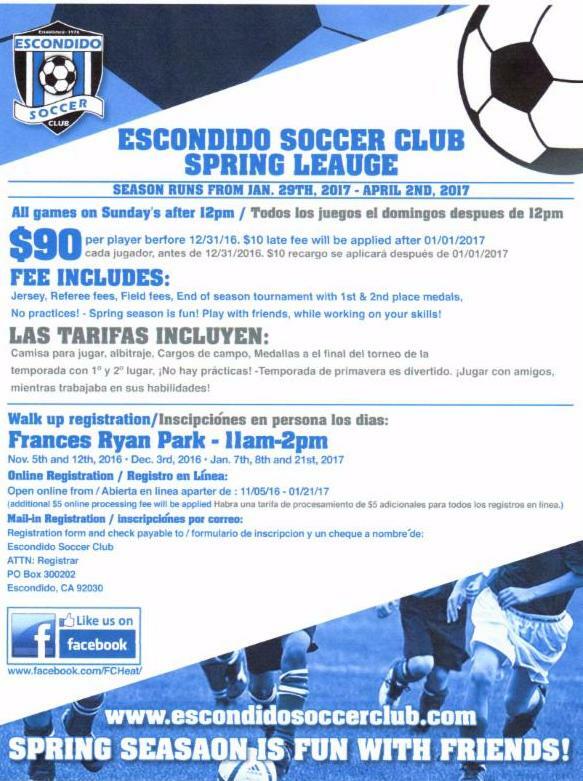 Spring Soccer League will start on February 12, 2017. Contact Maria Rosales if interested. 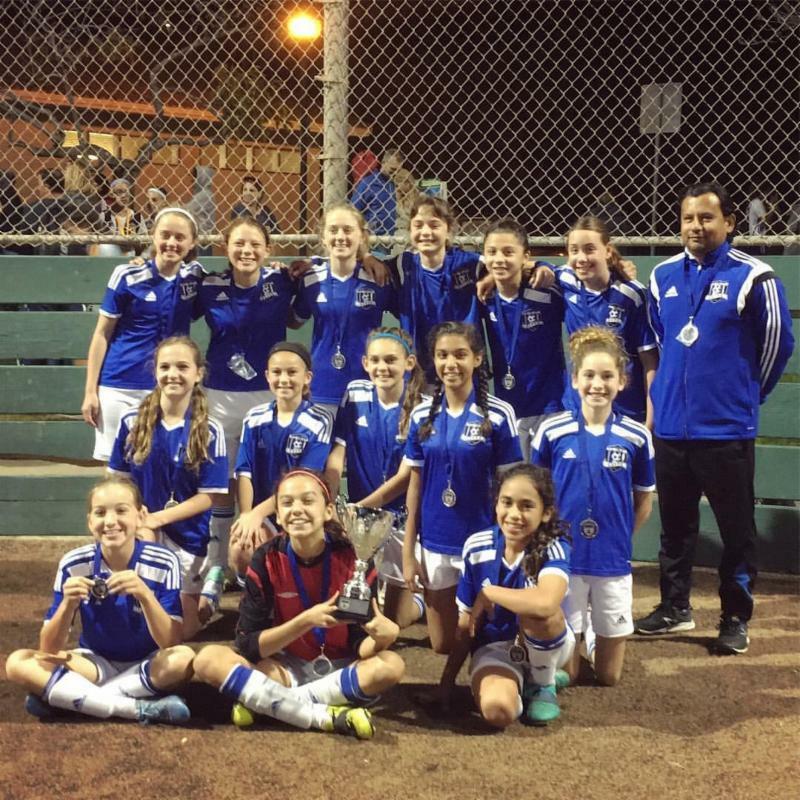 The 2017 tournament season seems to have started early this year and one of our girls teams are the very first to open their account with a Championship. Congratulations to Juan Ochoa and his G2004 Blue team who became The Carlsbad Premier Cup Champions – Well done coach and ladies! Ryan Park will only be open for Tryouts next week, but will be closed until further notice following those tryouts – please keep informed by going to our Website www.fcheat.org for the latest news. Nutrition News will appear again in the March edition of our newsletter.